As the days continue to get shorter and the holidays get closer, you may feel as if your time is running out when it comes to getting an acceptable offer on your home, and finally closing the deal this winter. 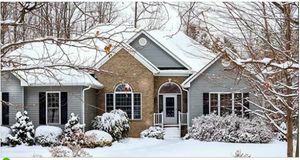 It can be easy to check out of the selling process during the winter months, because there are fewer buyers and showings. But, winter can still offer the right seller a great opportunity, as buyers are everywhere and yours might be right around the corner! 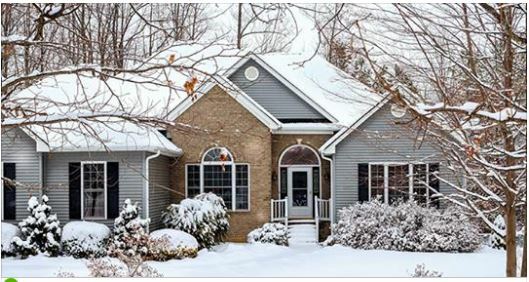 Here, we’ll discuss four ways to keep your home-for-sale looking its best even in the dead of winter. Winter may not seem like the optimum time to be selling a home. However, there are things that you can do that will brighten up the curb appeal of your home even on the dreariest of days. If you live in a climate where snow is likely, remember to keep a path clear from the curb to the door. No one is going to get a good first impression about your home if they have to struggle to get inside. Keep all your walks shoveled and clear of snow. Make sure to spread salt or sand to reduce slipperiness. If you’ve decorated the front of your home for fall, now is the time to start thinking about getting rid of the pumpkins and corn stalks. Nothing says “Doesn’t take care of the property” more than seasonal decorations that are currently out of season or worse, moldy (in the case of old carved pumpkins). Winter weather is messy, but that doesn’t mean that the entrance to your house can’t be neat and tidy. Also, make sure that your foyer or entryway has plenty of rugs for wet boots, coat hooks for coats and hats, and a stand for wet and drippy umbrellas. Simple and tasteful holiday decorating is a wonderful way to showcase the beauty of your home. However, keep in mind that a little decorating goes a long way. (Think more along the lines of the home in Home Alone, as opposed to the home in National Lampoon’s Christmas Vacation.) If you’re one of those people who tends to go all out during the holidays when it comes to decorating, this may be the year to reign it in a little. What is traditional to you might be over the top to a potential buyer. It’s better to err on the side of caution when it comes to holiday decorations. After all, you want buyers to see and appreciate your home and its features, and they can’t do that when they’re being distracted by your decorations. Staging a home for showing is all about allowing the potential buyer to see their own possessions inside your home, so even though you love your Grinch collection, it’ll have to sit this year out. The same goes for overly religious decor. You don’t know who will be walking through your door, ready to make an offer, and you don’t want to alienate or turn off any potential legitimate buyer. In the larger picture, taming things down during the holidays to secure a buyer for your house is a small price to pay. Winter days are short and sunlight is at a premium. When you know you have a showing, open all the curtains and blinds and turn on all the lights. Even the lights inside closets and cabinets should be turned on, and then the doors re-closed. Remember that you are trying to create the illusion of light and warmth. If you have a fireplace or woodstove, fire it up! Turn the thermostat to a few degrees warmer than usual before the showing, for a couple of reasons. First, the last thing you want your potential buyer to feel is cold when they walk into your home. They will immediately think of having to install more installation, a more powerful furnace, etc. The second reason is that, if you turn the thermostat up prior to the showing, but turn it down a couple degrees when the buyer arrives, your furnace will not kick on, and if you have a loud furnace, you’ll immediately realize this benefit. The lights, the warmth… now to create the perfect cozy trifecta, you’ll want to create a warm, inviting scent within your walls, too. As with holiday decor, the key here is to be subtle with the scent. First, make sure that there aren’t any unpleasant scents lingering around. Take care of those first by doing whatever you have to do to get rid of them. Then, choose a subtly scented candle or two and light them about 30 minutes prior to the showing. You can also put a couple drops of vanilla extract on a pie tin and put that into the oven. Turn the oven on low, and your home will fill with the scent of baking cookies. Alternatively, simmer cinnamon sticks or cloves in water on the stove for a festive aroma.